I’d like to take a few minutes of your time and explain to you what the Mid-Western Rodeo is all about. First and foremost, it is a volunteer-driven fund raiser for the Manawa Lions Club. 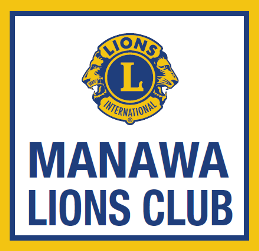 The proceeds help the Manawa Lions make our community a better place. A local Lions Club is not only a community resource for funding of community projects, it also helps citizens within the community that may have special needs. The Manawa Lions fund school programs such as Senior Banquet, Post Prom, athletic programs, and of course college scholarships. We also help with the purchase of eyeglasses, wheelchair ramps, and other individual needs in the community. The Lions Club also donates money to the Pride of Wisconsin, the Lions Camp in Rosholt, WI along with National programs such as Sight First, leader dog training, and diabetes screening. The rodeo also provides fundraising abilities for local churches, 4-H, and youth groups within the community, and has been doing so for over 50 years. The most important part in this venue is the fans. When you attend the Mid-Western Rodeo, you help make this all possible by purchasing a rodeo ticket, chicken dinner, or anything else at the rodeo–you are in a way helping those less fortunate than yourself, and for this we thank you. For your help we are going to provide you with one of the best professional rodeos you’ll find anywhere, and the Mid-Western Rodeo has the credentials to back it up. Eight times Great Lakes Medium Rodeo of the Year, five Justin Best Footing Awards, featured on RFD TV’s WPRA Today, and the fact that you keep coming back after over 55 years tells us that we’re on the right track. Please come and see us for a fun-filled weekend of Rodeo, Parades, entertainment, and one deliciously good chicken dinner, all at very affordable prices. We strive to make this an event that the whole family can enjoy. 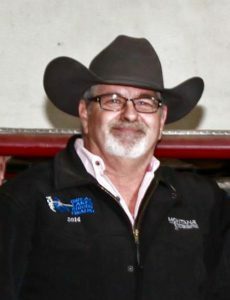 With all ours partners: Three Hills Rodeo stock contractor, rodeo announcer Roger Mooney, the rodeo clowns, and the stars of the show – the professional cowboys and cowgirls. We invite you all to come and see us, and hope this year will be one of our best yet!